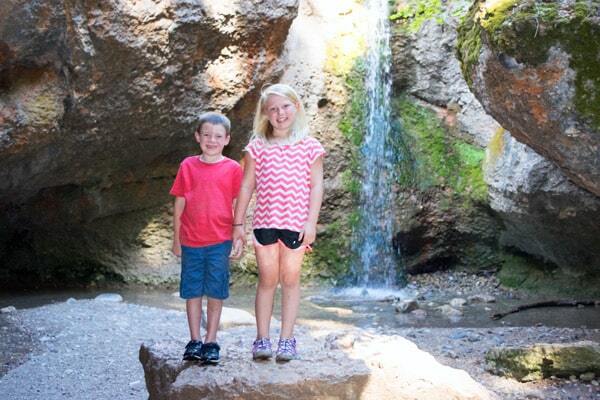 Jill and I are helping out with the grandkids for a few days while Erin is in the hospital with a new baby. We collectively thought it would be a good idea to take a couple of them for a short hike to “work out” their excessive energies! I have no idea how many times I’ve hiked Grotto Falls Trail, but I never get tired of it. I try to make this hike at least once each year, and it seemed like today was that day. Our trip began at 4:30 p.m. traveling to Payson through Salem. At 600 East in Payson, just past the hospital heading west, we made a left turn. 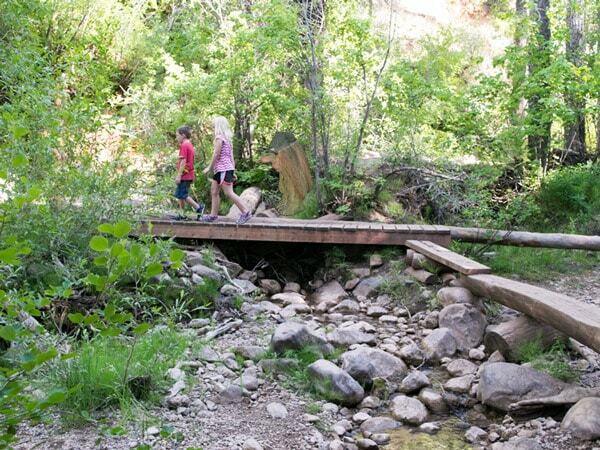 We followed the Mount Nebo Scenic Loop road which took us up the canyon to the Grotto trailhead which was about seven miles from the turn-off. People in Party: Nash Carlson, Brooklyn Carlson, Mark and Jill Carlson. Activity: Road trip in a car and some hiking on a short and fun trail. 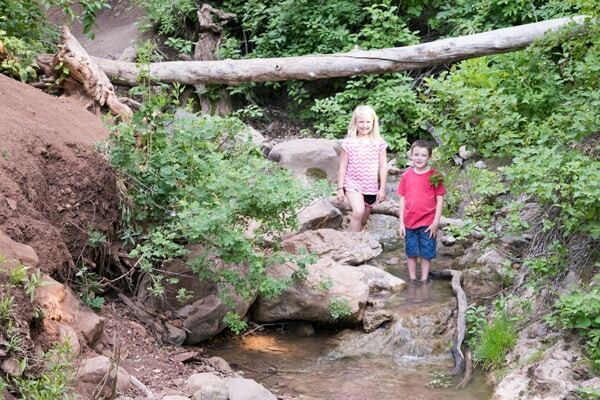 Beginning and Destination Points: Spanish Fork, UT to Grotto Falls, Payson Canyon, UT. Total Trip Time: 1 hour and 45 minutes. Total Trip Mileage: 31 miles. Elevation High Point: 6,460 feet. 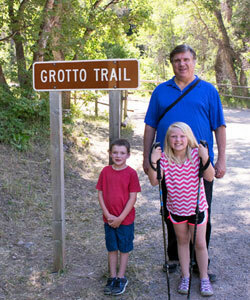 Miscellaneous: Grotto Trail is child-friendly, comfortable, and relatively broad. Images – Troll in the second image: “Have you seen my troll?” by Dr Nerdware is licensed under CC BY-NC 2.0. Map – “Grotto Falls” Map. GoogleMyMaps. Google.com, 9 Jul. 2016. Web. 9 Jul. 2016. Elevation Profile – “Elevation Profile for Grotto Falls” Elevation Profile. Profiles. GPSVisualizer.com, 9 Jul. 2016. Created 9 Jul. 2016. 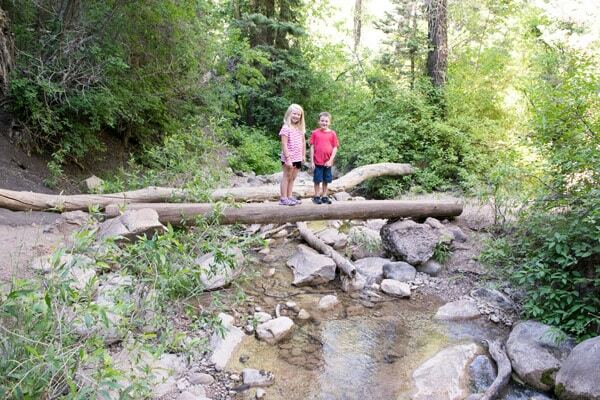 Grotto Falls - Payson Canyon Utah is a short and fun hike that is easy enough for almost anyone to climb; especially for children. Hiked it on 07/07/2016.